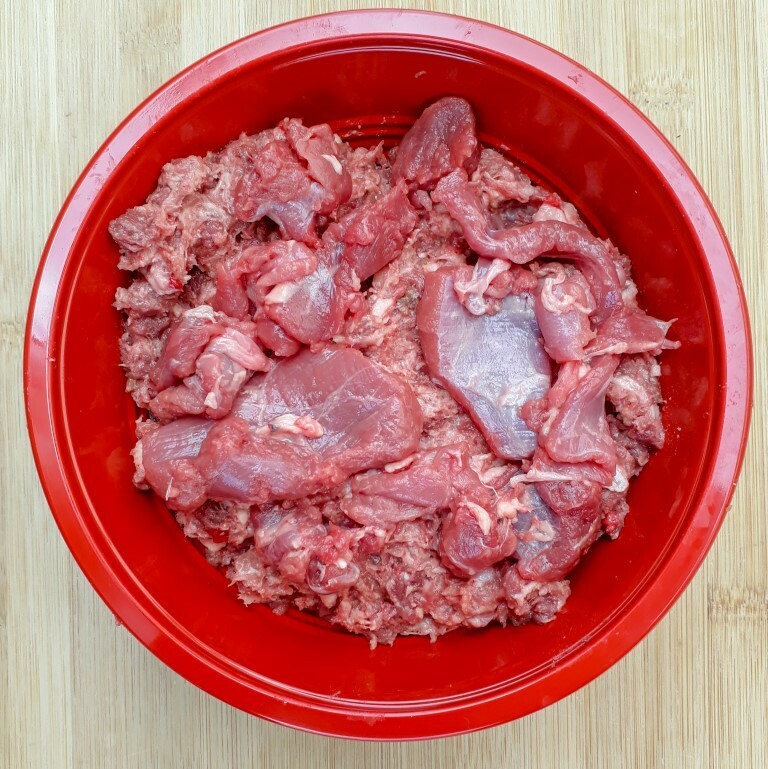 A complete and wholesome bowl of course cut venison and turkey. 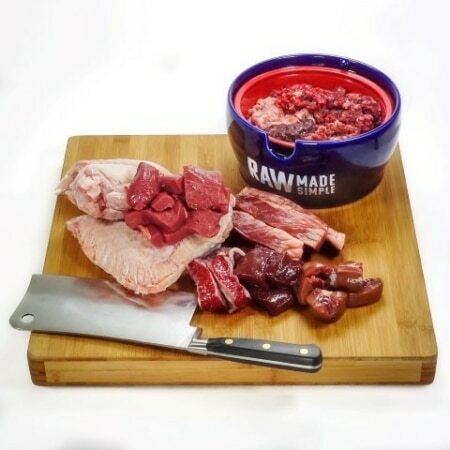 20% venison, 40% turkey mince with bone, 30% lamb heart, 10% lamb offal. 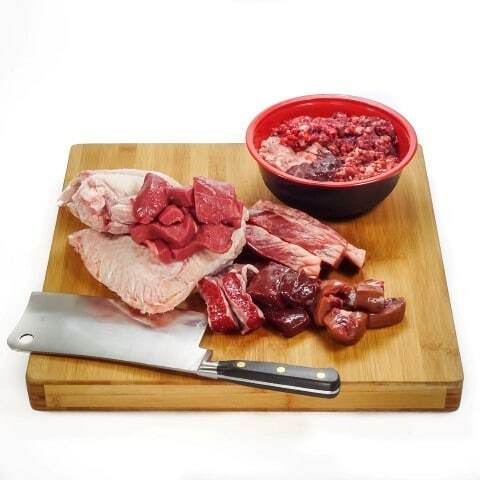 A tasty meal with coarse venison and turkey with bone. A great texture for your dog’s enjoyment. 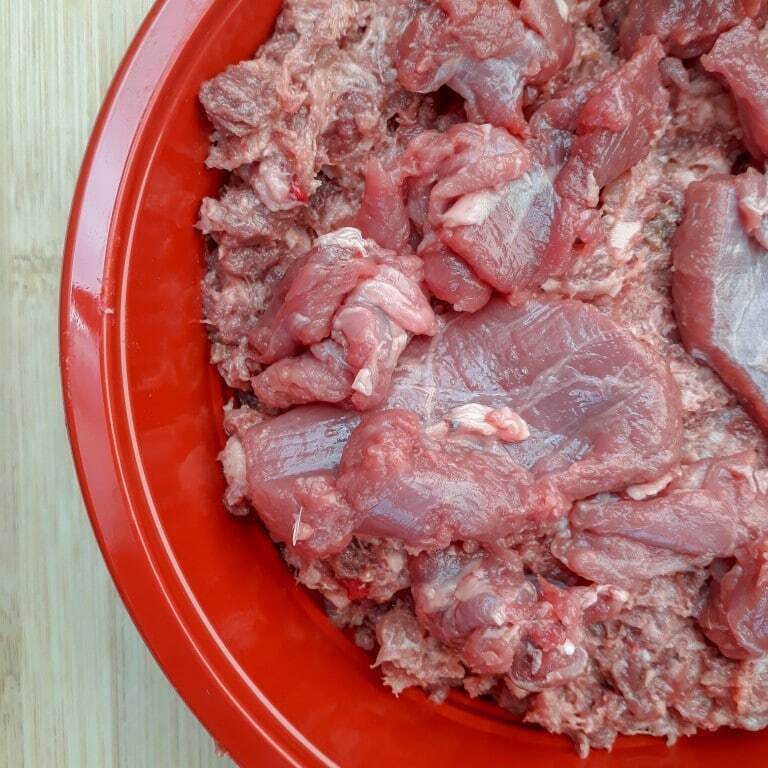 We prepare all our meat, the tripe is fresh, sourced locally and minced on site. 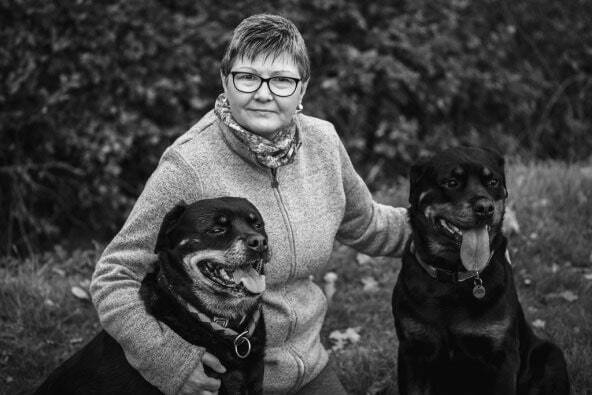 The perfect solution for the discerning pet owner. This is a complete meal. 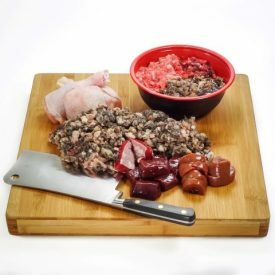 Venison and Turkey Complete Meal of raw dog food from Raw Made Simple.